A student who has taken a college or university course after graduation from high school or left high school before graduating to enroll full-time in college courses is considered a transfer student for purposes of admission to Georgia Southern. 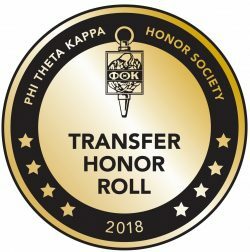 Prove with a course schedule that they are on track to have at least 30 transferable semester hours (45 quarter hours) completed from regionally accredited post-secondary institution(s) by the time they enter Georgia Southern. *SAT/ACT scores taken after a student has been enrolled in college level credit in a college/university (after high school graduation) cannot be used for admission consideration. Old SAT scores will be converted to Redesigned SAT scores for consideration. SAT scores are only valid for five years after the test date. Adult and non-traditional students are those who have been out of high school for at least five years or your high school class graduated at least five years ago. Sometimes we are able to review adults under difference admission criteria if the transfer requirements listed above aren’t applicable. Contact transfers@georgiasouthern.edu or click here to learn more. Additional resources for working adults can be found at here. Students must earn at least 25 percent of their degree requirements in residence at Georgia Southern University (Statesboro, Armstrong, or Liberty Campuses). The last 30 semester hours of work must be earned at Georgia Southern University (Statesboro, Armstrong, or Liberty Campuses), unless an exception is made for the student to be a transient student at another institution. A student cannot complete requirements immediately following the term he/she is in attendance as a transient student at another institution unless an official transcript of transient credit is received by the Registrar prior to the end of the semester at Georgia Southern University. Students are required to send official transcripts from all post-secondary institutions where they have attempted work. All transcripts must be received before an admissions file will be reviewed. If you graduated from high school five or more years prior to your intended enrollment date, you may be considered a Non-Traditional student. To learn more, visit our Non-Traditional Students tab on this page. *Accumulate 30 semester hours or 45 quarter hours beyond those courses. Remedial, learning support, and required high school curriculum make-up courses do not count towards transfer hours or the transfer GPA. If you have these types of courses, you are no longer eligible for Freshman Transfer Acceptance. The Georgia Southern Office of Undergraduate Admissions will only maintain a record of non-enrolling student test scores and transcripts for five years. Admission applications and fees are only kept for two years. Information for Military Students or Veterans, click here. Beginning with the 2017-2018 academic year, the cumulative HOPE/Zell Miller grade point average (GPA) calculated will include weighted grades for specific science, technology, engineering and mathematics (STEM) college courses. The grade for any such course will be increased by an additional 0.5 point if such grade is a B, C, or D. Click here for more information. This only affects students receiving the Georgia HOPE/Zell Miller Scholarship. All application materials for all campuses should be mailed to: Office of Admissions, PO Box 8024, Statesboro, GA 30460. We host information sessions and campus tours designed specifically for transfer students at the Statesboro Campus twice a month and at the Armstrong Campus once a month on a Friday at 12 p.m. During these sessions you will hear from a transfer admissions counselor and take a walking tour of campus. To make a reservation, click here to search the event calendar for your preferred date. You have the opportunity to be advised prior to SOAR (orientation) and receive an approved schedule that will provide you quicker access to registration at SOAR. In some cases, your advisor can register you for critical courses that are needed for your degree program before attending SOAR to ensure you will get the classes. Financial aid does not transfer from one school to another. You must cancel aid at your current school and re-apply for aid at Georgia Southern. Visit Financial Aid for more information. Visit our scholarship page for more information. All students must be admitted to Georgia Southern prior to the scholarship application deadline in order to be considered for scholarships. Once you have been accepted to Georgia Southern University you will receive a credit evaluation detailing what courses will transfer into our institution. For more detailed information about what specific class will transfer, please use the Registrar’s Transfer Equivalency Tool. Academic Renewal, sometimes referred to as academic forgiveness, can assist a student, who for one reason or another, struggled academically, left an institution, and now hopes to return to that same or a different institution. This could be a student who attended college directly from high school and, unprepared for the academic rigor of college, left school. This student may decide to return later after he or she has worked for a few years, is more mature and is academically prepared. The returning or transfer student can apply to have this previous grade point average replaced with a “renewed” grade point average. Academic Renewal encourages students to return without fear of being continuously penalized for past mistakes in their academic career. Georgia Southern University will consider Academic Renewal on transferable courses that were taken three or more years prior to the term of enrollment. If a student receives Academic Renewal, they will no longer have grades for any transferable courses, pending those courses were taken three or more years prior to the first term of enrollment at Georgia Southern University. These courses and grades, along with Academic Renewal status, will still be printed on transcripts, however. Students may only be granted Academic Renewal once in their academic career. Academic Renewal granted at another University System of Georgia institution will be honored at Georgia Southern University. The granting of Academic Renewal will not supersede the admission requirements of certain programs (i.e. teacher education, nursing), which require a specific minimum GPA based upon all coursework, or graduate programs. For additional information and guidelines on Academic Renewal, refer to the Georgia Southern University Undergraduate Catalog (page 64 in the 2014-2015 version). The granting of Academic Renewal does not supersede financial aid policies regarding Satisfactory Academic Progress (SAP). All attempted hours will count in the SAP calculation for financial aid. Apply for admission and submit transcripts for all college work attempted. Once a decision has been made, you will receive a letter in the mail. You can also check your status online. If you are denied admission, you may request to be considered for Academic Renewal. To do this, contact the Transfer team at transfers@georgiasouthern.edu. If you are admitted, you may request to be considered for Academic Renewal by the Office of Admissions. You may also request (AR) after you enroll by contacting the Office of the Registrar. You only have one year to request Academic Renewal after enrolling. Before Academic Renewal is granted by the Office of Admissions, you must speak with an Admissions Counselor and agree to the terms of Renewal. As an East Georgia-Statesboro student, you must have a Georgia Southern application on file and have paid the $30 application fee. 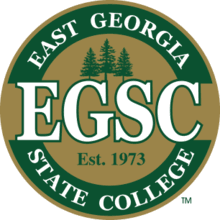 You can do this before or after you apply to East Georgia State College. After you have been admitted to East Georgia State College-Statesboro and you have a valid Georgia Southern University application and fee on file, you will be able to get an Eagle ID card. This card allows you access to Georgia Southern’s campus services. As an East Georgia State College-Statesboro student, you should already have an application and fee on file within the past two years. If not, you must submit both the application and fee. Next, you will need to update your student type and entry term to reflect when you intend to enter Georgia Southern University as a transfer student. You can update your student type, entry term, and application by clicking here. You must request your East Georgia State College transcript, and any other institution(s) transcripts you have previously attended, be sent to the Georgia Southern University Office of Admissions. Once we have all required information, you should receive a decision in two to three weeks. You can check your admissions status here.